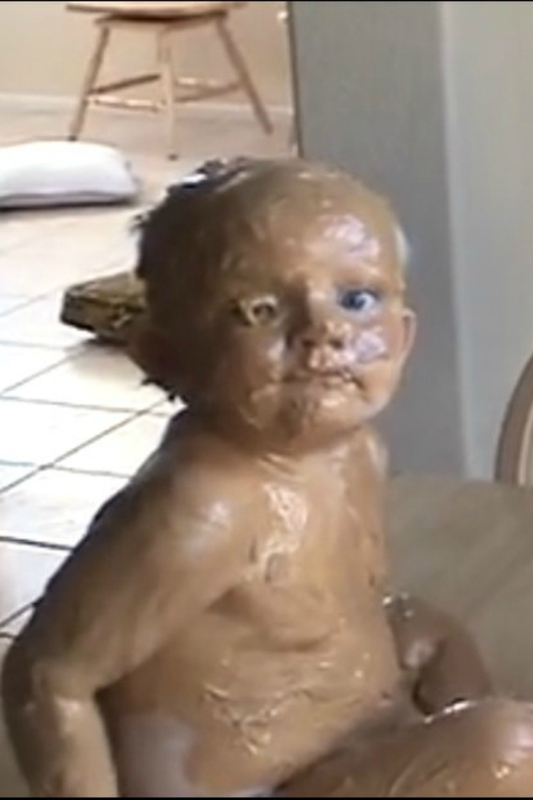 This peanut butter covered baby is the only thing you need to see today! You are here: Home / For Moms & Parents / video / This peanut butter covered baby is the only thing you need to see today! Mom knew they were up to something when big sister Emily and baby brother Ethan grew quiet. Too quiet. That’s something every parent faces at some point, right? That moment of peace followed by the panic when you realize your little darlings are probably trying to feed goldfish to the cat or trying to make a cake out of everything in the fridge? Well, this mom walks into the kitchen and sees her babies and knows she HAS to record it. Once you see it, you’ll know exactly why. Best part though is her reaction. While I might have lost it just a bit (maybe a little more than a bit), this mom realizes her kids are kids and manages to maintain her cool through the whole video. Take a look! Since this video came out, there has been tons of commentary, memes, and other videos made to emulate it. None of them are anywhere near as great as the original. I don’t know what Emily and Ethan are up to now, but I hope they’re still doing it together. And mom? We ALL wish you the best with kiddo’s like these! Seems like you’ve got a pretty good handle already, though. Keep that sense of humor; you’re going to need it! This Two-Year-Old Tries To Argue Like An Adult!